The creative economy employs more than 160,000 Hoosiers, according to the Indiana Arts Commission. The arts are essential for personal and community development, and tapping into this sector will drive our communities’ futures and future economic development. Glick Philanthropies invests in community development and increases individuals’ access to transformational opportunities through the arts and creative expression. 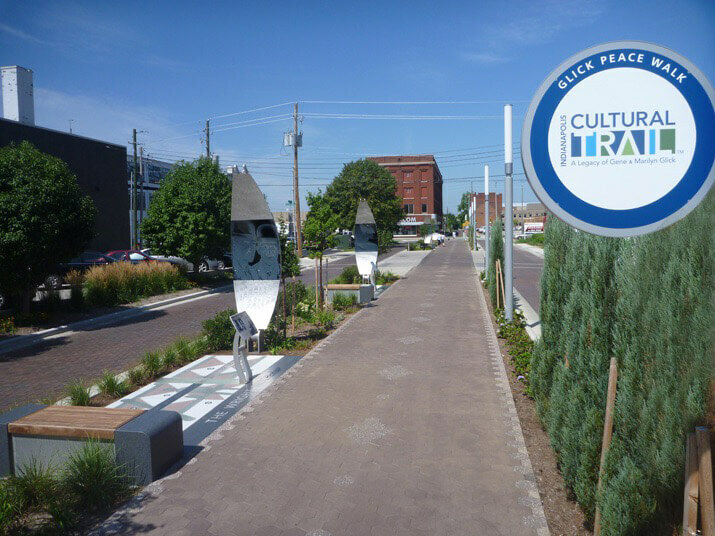 The Indianapolis Cultural Trail: A Legacy of Gene and Marilyn Glick is one of the most bold and beautiful expressions of the Glicks’ desire to impact their community. 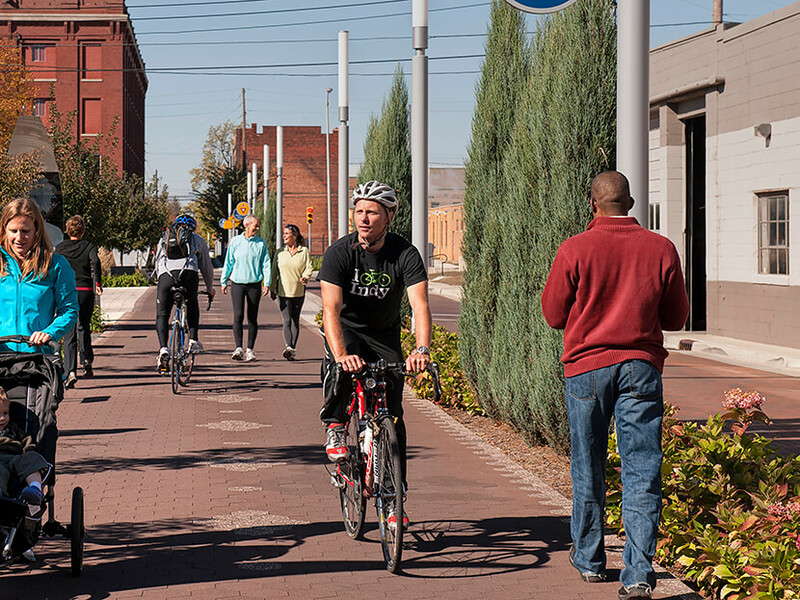 This eight-mile bike and pedestrian trail connecting Indianapolis’s six cultural districts and a multitude of restaurants, bars, public artworks, parks and museums has transformed the landscape of Indianapolis, both literally and figuratively. Gene and Marilyn Glick were fascinated with the idea of a thoroughfare connecting some of Indy’s most popular neighborhoods. Fitness advocates well into their 80s, they liked the idea of a public recreational resource in the heart of the city. Yet, they realized the recreational aspects were just a small part of the Trail’s potential impact. The Trail was a great opportunity to encourage cultural exchange, expand community awareness and promote economic growth. With a lead gift of $15 million, Gene and Marilyn helped move the Cultural Trail from a dream to a reality in Indianapolis. 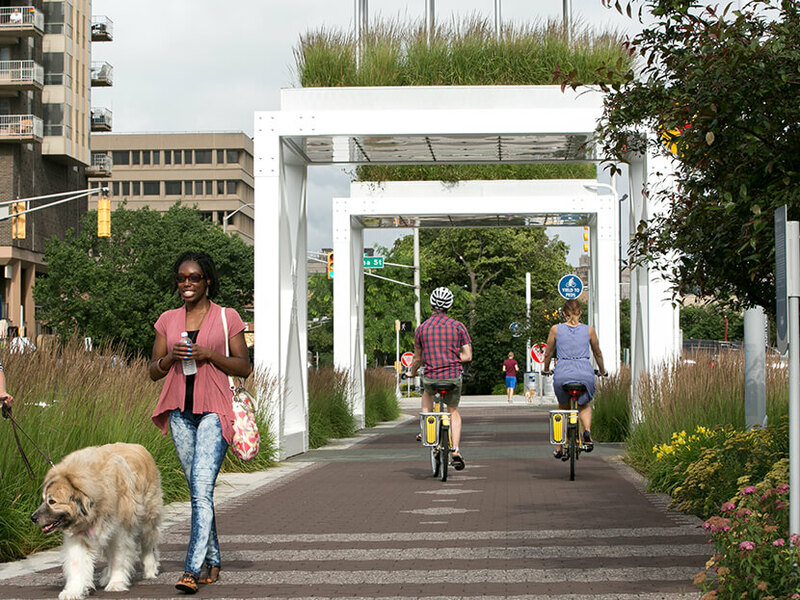 The Trail has played a leading role in transforming downtown Indianapolis, enhancing quality of life, accessibility and the overall way people experience the city. The sight of vacant parking lots and abandoned buildings has been replaced with a world-class bike and pedestrian trail, free botanical gardens and $2 million in public art, including functional amenities like bus shelters and bike racks. Equally important to the Glicks’ initial gift was Gene’s recommendationthat the maintenance endowment be established so the Trail could be enjoyed for generations to come. Residents and visitors alike now use the Trail to make their waythrough the downtown. This greater connectivity has yielded strong economic development opportunities: the Indiana University Public Policy Institute found that property assessments within approximately one block of the eight mile Trail have increased 148 percent since 2008, an increase of $1 billion in assessed property value. “Today, the Trail is a leading model for what to do in an urban area to enhance quality of life,” Haley says. The Glick Peace Walk is the perfect fusion of Gene and Marilyn’s passions — her love of art and his long-time desire to honor those who made peaceful humanitarian contributions to society. As more people are drawn downtown by the Indianapolis Cultural Trail, many are using it to get to work, explore different parts of the city or simply exercise. In April 2014, the Glick Fund at the Central Indiana Community Foundation and other philanthropic partners helped make the Trail even more of a connector in the city by creating a public bikeshare program. With 27 bike stations and 250 bikes, the Indiana Pacers Bikeshare program provides everyone, regardless of income level, with another form of quick and easy transportation and a way to enjoy a healthier lifestyle. It was always a dream of Gene Glick to honor and celebrate Indiana’s great authors. In 2007, the Eugene & Marilyn Glick Indiana Authors Award was established to recognize Indiana’s top authors for their literary work in Indiana and across the country. 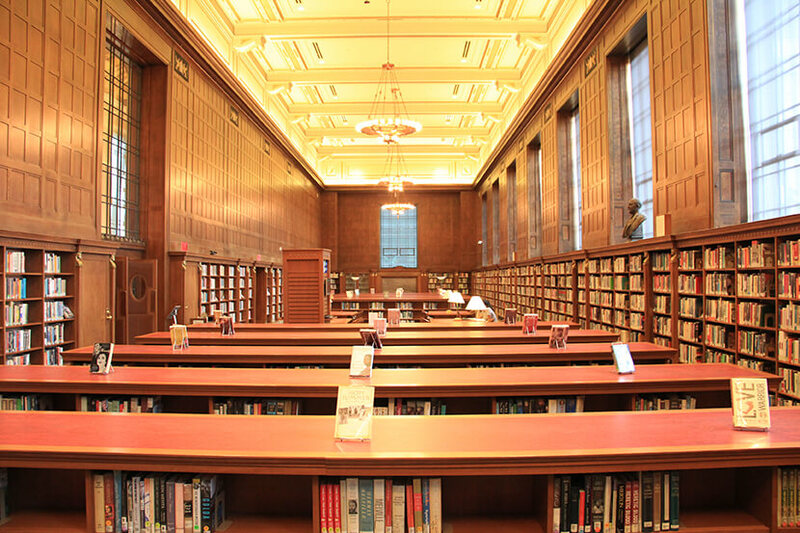 Since the award’s inception, Indiana authors have won over $210,000, and libraries in winning authors’ hometowns have received over $75,000 in grants.